Think having dark kits isn’t an issue. I go with Schalke’s Bright green kit to counter act any other kit. Sure, i bet there is a totally valid reason to not play in your chosen home kit other than hoping to jack yourself off over having made me switch. Nah, try on the next guy. Surely it’s having two dark kits that is the problem. The whole point of having two is to have variation. Personally I hate the people who refuse to change their kits when both of yours is too similar to theirs. Just because you’re the home team doesn’t mean you HAVE to play in only one kit. 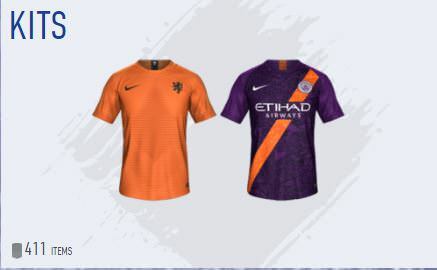 For me, it’s that moment when you think you’ve both settled on your kits, and then at the last minute they change meaning the kits clash because you’ve both accepted! I think there should be an option in the pause menu to change kits. I use both black cos I can. Umadbro? You know the fifa community is full of mean boys ( opposite of mean girls) , morons and those who need to be good at something like FIFA and show you in game how much better they think they are then you, all to make up for something in there personally life that makes them feel less then. Takes one to know one amirite?